Quick overview Explores the key practical and theoretical issues underpinning cross-curricular teaching and learning across the early years, primary education and lower secondary school. 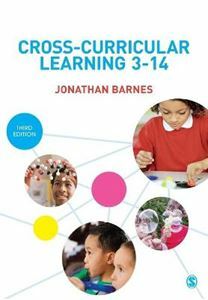 This third edition explores the key practical and theoretical issues underpinning cross-curricular teaching and learning across the early years, primary education and lower secondary school. Combining findings from research and educational theory with examples of thought-provoking teaching in schools, this textbook discusses how high quality teaching across different curriculum areas can be planned, taught, assessed and used to encourage creative and deep learning experiences. Revised and updated to reflect current curriculum policy and contemporary research, this third edition includes: * Coverage of the 2014 National Curriculum in England and the implications for cross-curricular practice * More case studies from across the curriculum, from different age groups and exploring different aspects of teaching * Improved coverage of cross-curricular practice in the Early Years Foundation Stage.